Dr. Daniel Knowles, who is known as Dr. Danny, developed the Mile High Movement, after years of experience as a successful chiropractor, consultant, mentor and teacher. He has been running his own chiropractic practice since 1997. After graduating from New York University with honors in 1992, he attended Sherman College of Straight Chiropractic, graduating in 1997 with a Doctor of Chiropractic and a Clinical Distinction Award. From 1997 through 1999, he ran a chiropractic practice in Spartanburg, South Carolina. In 1999, he moved to Boulder, Colorado, setting up his highly successful Network Family Wellness Center. In the last dozen years, he has served thousands of patients. Also in that time, he has been a member of and/or served as an officer of numerous regional, national and international chiropractic organizations. He serves on the Sherman College of Chiropractic Board Of Trustees (2011 to present) and is a member of the Colorado Chiropractic Association (2007-Present). As a member of the Colorado Chiropractic Wellness Alliance (2001-2009) he served as Chairman of the Board of Directors from 2002-2006 and is a Board of Directors Member. He is also a member of the International Federation of Chiropractors and Organizations (1993-Present) and World Chiropractic Alliance (1996-Present). Dr. Daniel “Danny” Knowles is a licensed chiropractor and the founder of Network Family Wellness Center, the Mile High Chiro Movement Weekend and Lifetime Wellness Practice, a service-based firm offering premium growth strategies and client care consulting to professional chiropractic teams. Additionally, he serves WiseWorld Seminars as International Operations developer and an Instructor. Considering himself first and foremost a care provider, Dr. Knowles has served as a professional private chiropractor for nearly two decades. Behind his vibrant smile and friendly demeanor is a chiropractor who is passionate about the care he delivers to each and every patient, and is driven to provide unprecedented levels of service to anyone visiting his practice. At Lifetime Wellness Practice, his daily mission is to advance the core philosophies of chiropractic care that are proven to reduce dis-ease and improve the lives of patients seeking a healthier existence. Dr. Knowles understands that chiropractic involves so much more than a person's back, it's about their life. It is a philosophy rooted in optimizing the expression of the wisdom within. For the last two decades in addition to serving people in his practice Dr. Daniel Knowles has been a team teacher for Wise World Seminars as well as serving at their healing retreat weekends. Currently, he is the international director of Network Spinal Analysis trainings. In addition to his intimate knowledge of providing top-notch patient care, Dr. Knowles is a shrewd businessman with a wealth of insights for developing healthy, successful practices built to last. Incorporating both classic, proven business practices, and leading-edge strategies which utilize the latest technologies of the information age, Dr. Knowles is known for developing a unique approach to chiropractic excellence, with individual tools tailored to suit the needs of any doctor seeking his advice. Through Lifetime Wellness Practice, Dr. Knowles has been blessed with the opportunity to not just help chiropractors establish successful, committed practices, but he’s also been given the chance to advance the philosophy of chiropractic care as it was meant to be taught. His clients don’t just learn how to become financially successful, they also become philosophically rich, and learn how to form a successful practice based on the idea of premium levels of care for patients. This core tenet is echoed throughout Dr. Knowles services, few things excite him more than getting to share them with his fellow chiropractors. He is the recipient of numerous awards and honors for unprecedented client service, outstanding quality care, and extraordinary scholarship, including the Mile High Vision Award presented by Mile High Chiropractic, the Spirit of Sherman Award presented by Sherman College, and Team of the Year award presented by Chiropractic pure and simple. Dr. Knowles has made hundreds of professional presentations across the U.S. to fellow chiropractors, scholars, and professionals seeking his keen insights into the philosophy of chiropractic, the future of the industry and healthy living. 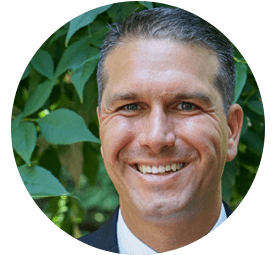 Deeply rooted in the founding, core philosophies of chiropractic care, Dr. Knowles is proud of his educational background and cares for his patients according to the most highly-acclaimed and proven approaches in the field. He holds a bachelor’s degree, with honors, from New York University, and a Doctor Of Chiropractic degree from the Sherman College of Straight Chiropractic, where he also earned the Clinical Distinction Award. When he’s not in the office or spending time with clients, Dr. Knowles enjoys hiking, biking, and spending time with his beautiful wife and two children. Always eager to meet fellow chiropractors or those interested in chiropractic care, never hesitate to contact him or say hi.